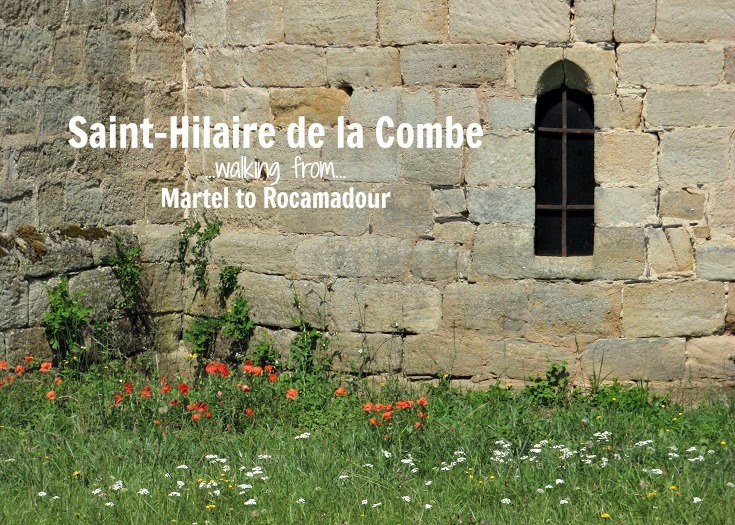 Until the middle of the fifteenth century, life in this part of the world—between Collonges-la-Rouge and Curemonte—centred around the village of la Combe. But by 1453, at the end of the Hundred Years War, the village had been destroyed and the residents moved to nearby Curemonte. 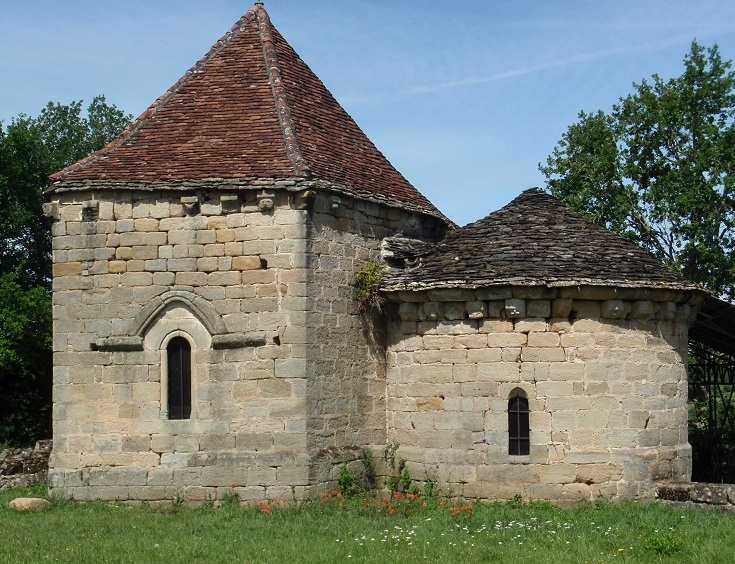 All that remains today of the village of la Combe is the tiny church dedicated to Saint-Hilaire. The church dates from the eleventh century and was partially reconstructed in the fifteenth century. The two sides of the church are very different in all respects—size, shape and the details in the carvings—but both are very beautiful and exude a great sense of history. The church is open to the public during exhibitions held over the summer months but remains locked at other times of the year. Luckily, we can peer in through the windows where the dim light only adds to the sense of charm and mystery. NOTE: To reach Saint-Hilaire de la Combe, leave the GR 480 walking path just past Branceilles and veer right onto the D106. The church is a short way along on your left. When you are ready, continue walking along the D106 to reach the next village of Curemonte. Beautiful! I love the old, medieval or ancient towns and villages where by strolling down their streets you can literally go back in time and admire how talented people were to be able to make those buildings and decorations only using their hands. Great photos! Thanks Tom. They are amazing buildings. I love to sit inside them when I can and imagine how many thousands of people have lent against those same walls over the centuries!